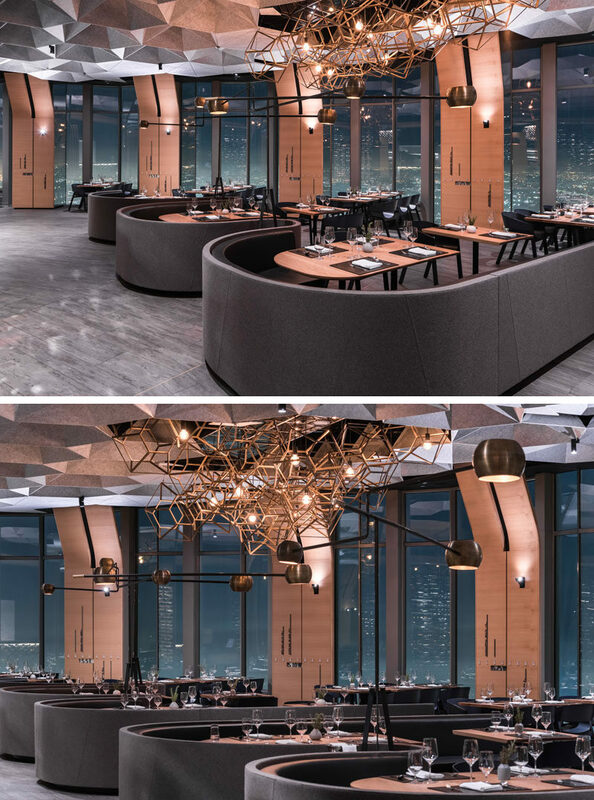 Tag Front Architects have designed 71 Above, a modern restaurant in Los Angeles, California, that wraps around the entire top floor of the US Bank Tower, so that every seat in both the dining and lounge areas can enjoy the tower’s 360 degree panoramic views. The restaurant features a variety of areas throughout its design, like a lounge and bar area as well as long communal tables and curved booths. When designing the space the architects had to take into account the amount of sun the restaurant received and the sound levels. 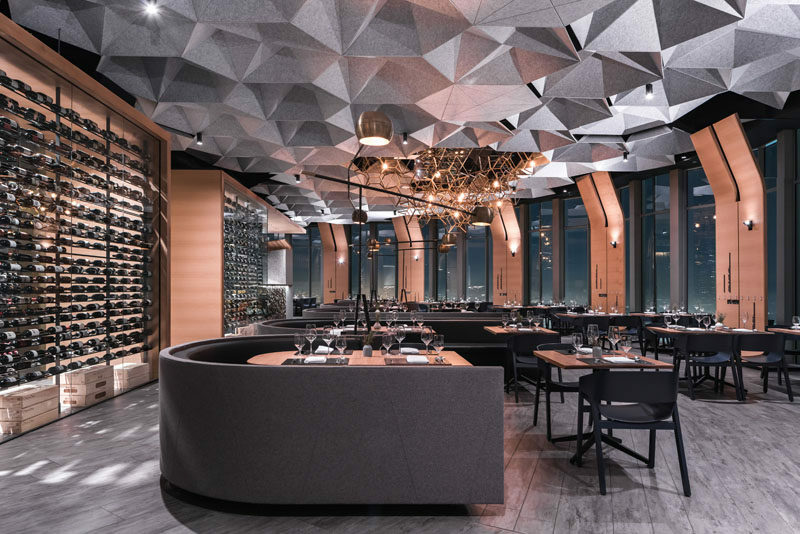 In order to make sure the view of the city can be seen at any time during the day, they used a special electrically controlled glass that changes opacity of the windows as the sun moves across the sky, minimizing the heat and glare within the restaurant. 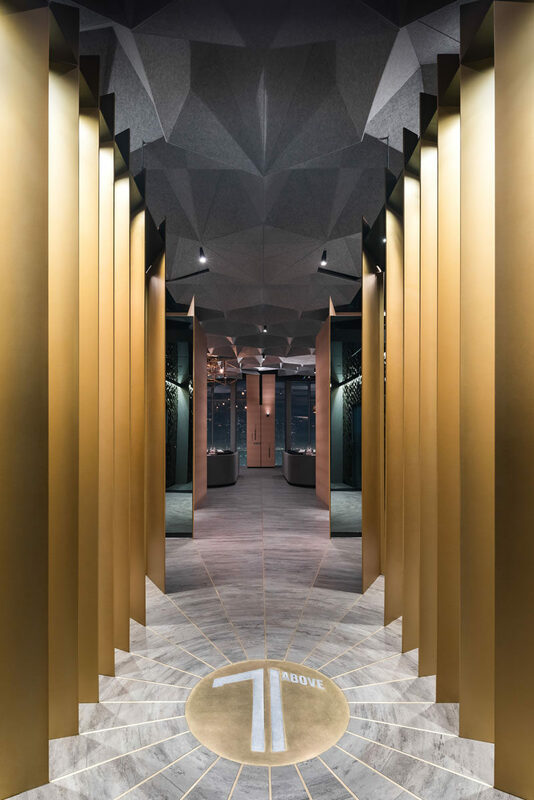 For the sound levels, the architects worked with Arktura to develop a system of custom hexagonally shaped cellular coffers made of recycled plastic that help to dampen sound. The ceiling coffers have voids to allow sculptural brass chandeliers to hang from the ceiling. In the dining area, large glass walls located behind the booths show off the wine selection available for patrons. 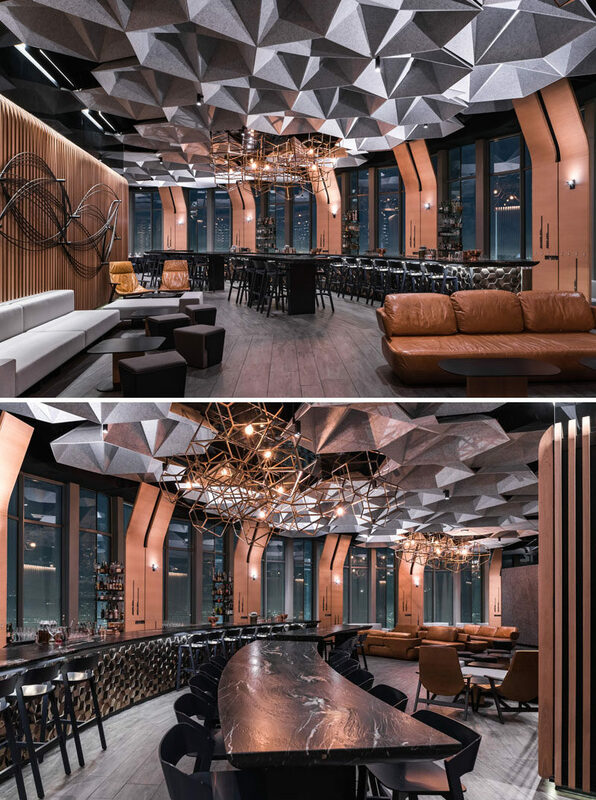 Throughout the restaurant, fabrics, leathers, hardware, wood, marbles and colors, add to the overall modern look that the architects were aiming to achieve with the space.